Dr. Rajat Chabba has a decade of experience in the the development sector, focusing on diverse issues. He leads the healthcare practice at Intellecap, designed to solve critical health challenges in low-income and underserved communities by leveraging the power of technology, entrepreneurship and innovation. He has worked with various NGOs, corporate organizations, government health departments and international funding institutions across eye-care, tuberculosis, sanitation, maternal and child health and family planning, primary education and employability. 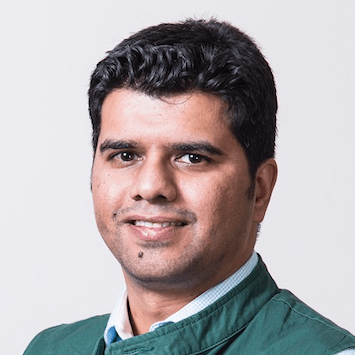 An Acumen India Fellow for 2015, he is an MBBS graduate from BJ Medical College, Ahmedabad and holds a master’s degree in Rural Management from IRMA. Over 4 billion people around the world lack necessities like food, water, energy, health care and housing. This represents not only a major social challenge but a major market, as low-income consumers have an annual purchasing capacity of US $5 trillion. Rajat Chabba and Sheena Raikundalia at Intellecap explore how entrepreneurs are developing innovative, frugal products to meet these customers’ needs – and why an ecosystem approach is needed to help them scale their solutions.